3 Children of Jarius Nelson DeBerry Price.click on photo for larger view. .
Left....David Lee PRICE was born on Apr-2, 1888. He was the son of Jarius Nelson DeBerry PRICE and Sarah Louise BENTON. He died on Feb-1, 1928. He married Hattie Lucinda SIMPSON on Nov-22, 1908, daughter of John Culpepper SIMPSON and Martha Anne CLONTZ. She was born on Aug-11, 1890. She died on May-18, 1963 in Union Co. NC. 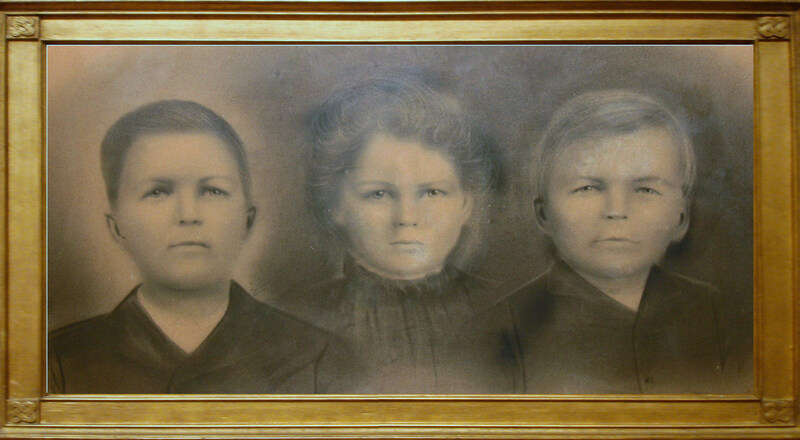 Middle....Bertha Estelle PRICE was born on Jun-20, 1890 in Union Co. NC. She was the daughter of Jarius Nelson DeBerry PRICE and Sarah Louise BENTON. She died on Mar-18, 1928. She married Lemuel Sylvester SIMPSON, son of John Culpepper SIMPSON and Martha Anne CLONTZ. He was born on Jun 19, 1886. He died on Nov 19, 1963. Right.....Alonzo Wentz (Lon) PRICE was born on Mar-17, 1892 in Union Co. NC. He was the son of Jarius Nelson DeBerry PRICE and Sarah Louise BENTON. He died on Aug-29, 1972. He married Perry Jennette PRICE, daughter of William Lee PRICE and Mary Alice WILLIAMS. She was born onApr-23, 1892 in Union County, North Carolina. She died on May-16, 1968 in Union County. -Photo of Jarius Nelson DeBerry Price and Sarah Louise Benton Price.